That’s a pretty strong statement to make. But a lot of people find the circumstances of their lives difficult in many ways. Some even get to the point where they truly believe they “hate” their very existence. 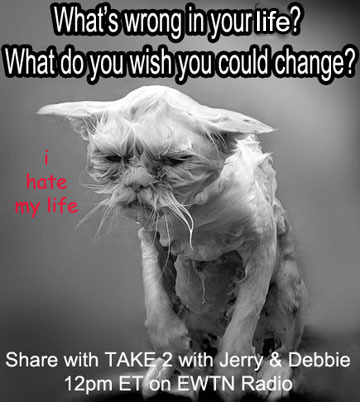 On Tuesday, Jerry and Debbie will discuss this important issue, and will welcome your takes on the plight of people who find themselves in such circumstances – perhaps even you. Join us at Noon and Midnight ET! i may say that hate is a word that I try not to use any more, but a strong dislike of my life? yes. Some recent life choices have made my life difficult, but I’m hoping to fix them soon!